Step 1. Make an empty Arc GIS 9.3 model in InfoSWMM using the Arc GIS Default when initializing the model, Step 2. Save the empty model and then copy and paste the files from the Arc GIS 10 ISDB folder to the Arc GIS 9.3 folder, but not the MAP sub directory, Step 3. 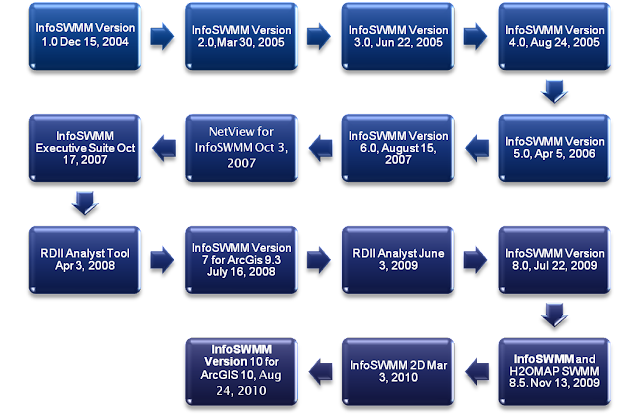 Open the Arc GIS 9.3 mxd file and then use the Tool Update Map from DB after Initialization, Step 4. Zoom to the model extents and then set data frame to the model view so it can be used more efficiently in the future before saving the model. 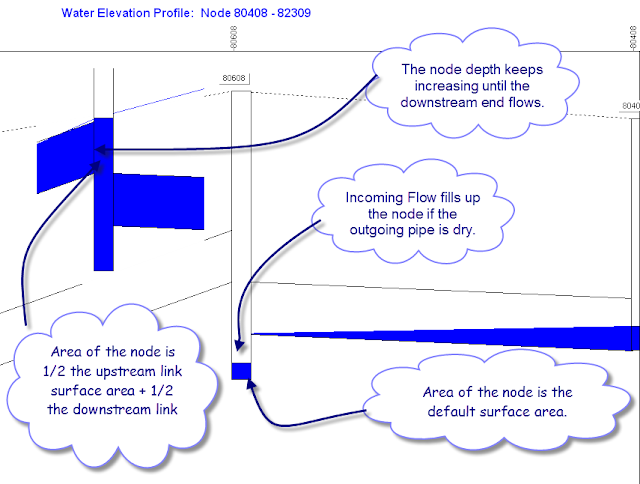 The water surface in the node determines the flow in the link, as the depth increases due to upstream inflow eventually the downstream link will start flowing. 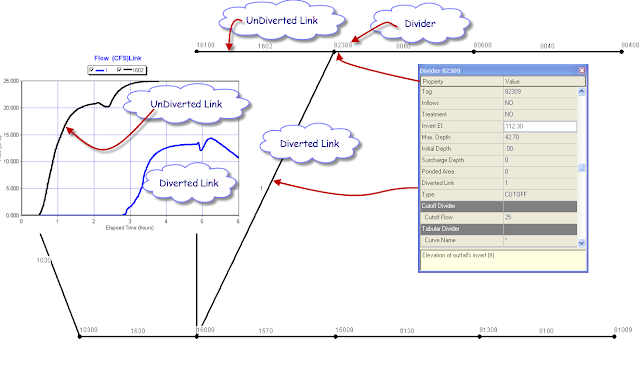 This is how an adverse sloped link is treated in SWMM 5 or InfoSWMM – the link is reversed so that the link now has a positive slope and the original upstream node is now the downstream node. 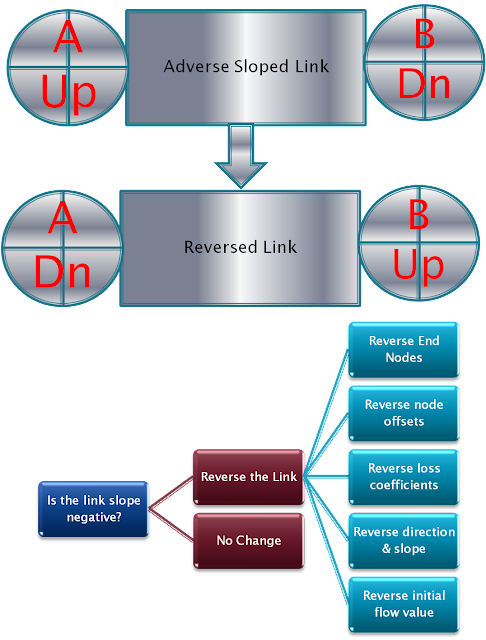 The flow in the reversed link is now negative as it moves from the original Node A to Node B and the flow is positive if the flow moves from the original node B to Node A. 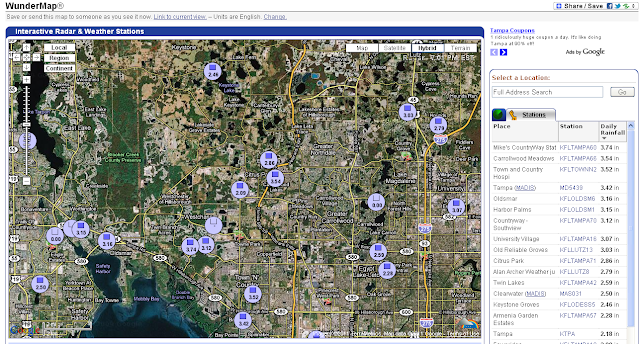 Weather Undergroundis a site that provides excellent local weather information in the form of graphs, tables and csv files. 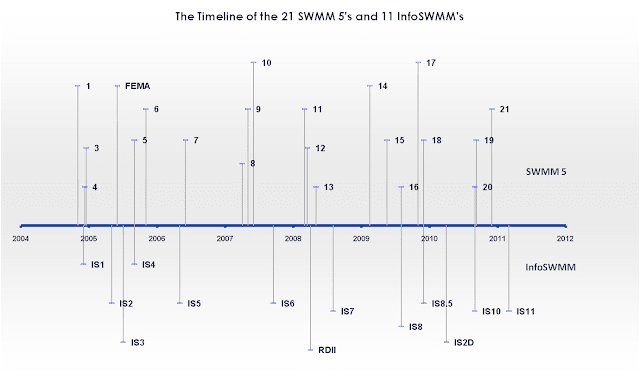 You can use the data very easily in SWMM 5 by copying from Excel to a time series in SWMM 5 and then use either the wind speed, precipitation or temperature in a model. Figure 2. Save the Data to Excel by using the Comma Delimited File Command. Diversion links in SWMM 5 are Pumps (5 types), Orifices (2 types), Weirs (4 types) and Outlets (3 types). 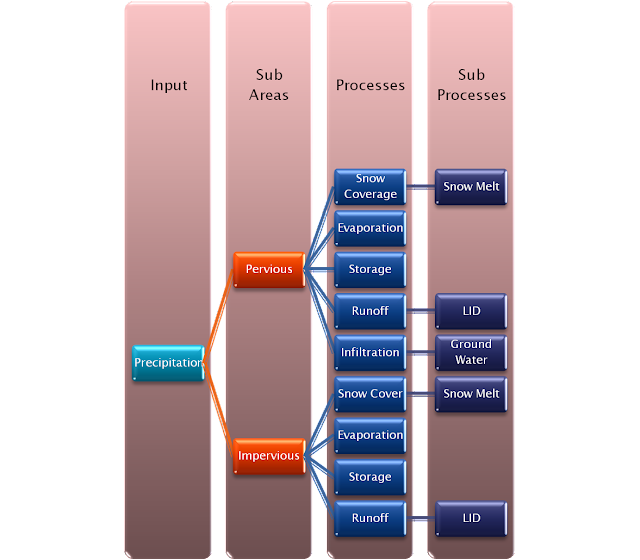 The main objects in a SWMM 5 drainage network are the nodes and links. 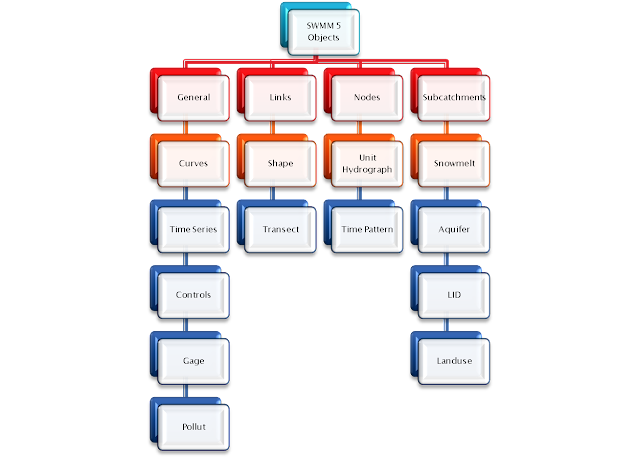 Nodes are Junctions, Storages, Dividers and Outfalls. Links are Conduits, Pumps, Orifices, Weirs and Outlets. There is one type of junction but 5 types of Oufalls, 3 types of Storages and 4 types of Dividers. The dividers can be used in the dynamic wave solution of SWMM 5 but only divide the flow in the kinematic wave solution. 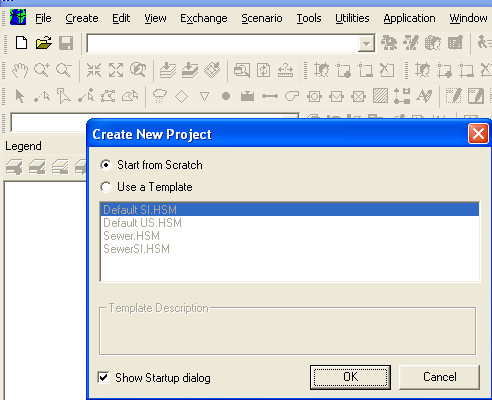 Step 3: Import your EPA SWMM data file after locating it using the browser. Click on Import. Step 4: Use the Attribute Browser, DB Editor and Run Manager to see your data and network after import. Step 5. Make a new column in Excel to calculate the tributary area. 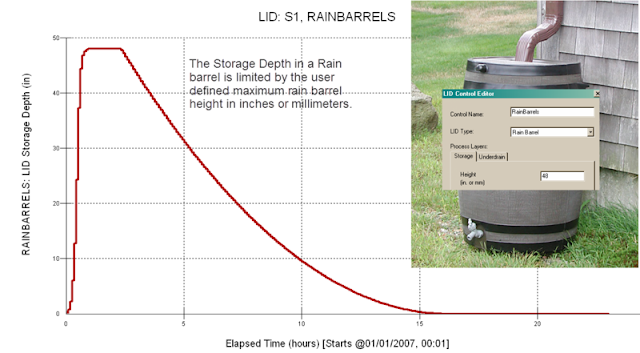 The Tributary Area of a Node = Total Inflow Volume / Total Wet Weather Flow * Total Subcatchment Area from Step 1. You will now have the tributary area for each node. You can verify this number = the total tributary area at the outfalls should equal the Total Subcatchment Area from Step 1. Step 1: Add a new variableLINK_VOLUMEat the end of the link variables in enums.h This is much easier if you just add a report variable that already is part of the link or node structure in objects.h Your only restriction is that is should be added before the water quality variables. The fluxes are also listed in the LID Performance Summary Table in the output text file. Total Evap Infil Surface Drain Init. Final Pcnt. What are Hours Above Full Normal Flow in SWMM 5? Subject: What is Hours Above Full Normal Flow in SWMM 5? The Conduit Surcharge Summary Table in the Report text file or Status Report lists a column of results called “Hours above Full Normal Flow”. This is the number of hours the flow in the link was above the REFERENCE full flow as calculated by Manning’s equation. The flow in the link can be above full flow even if the link is not a full depth if the head difference across the link is high enough. 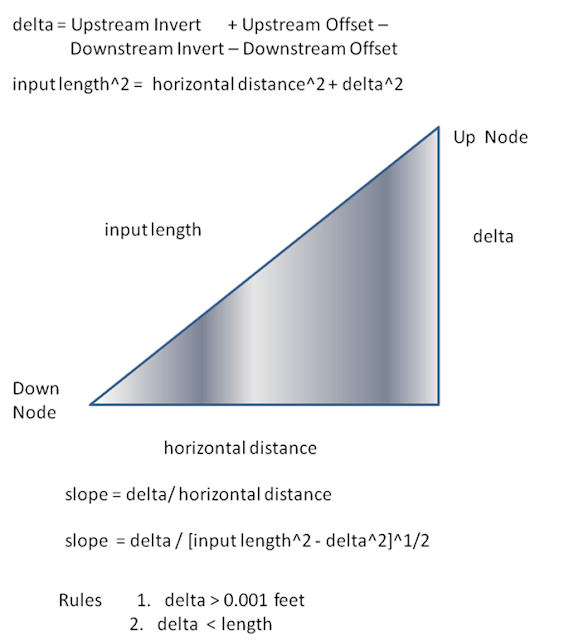 The head difference is the water surface elevation at the upstream end of the link minus the water surface elevation at the downstream end of the link. 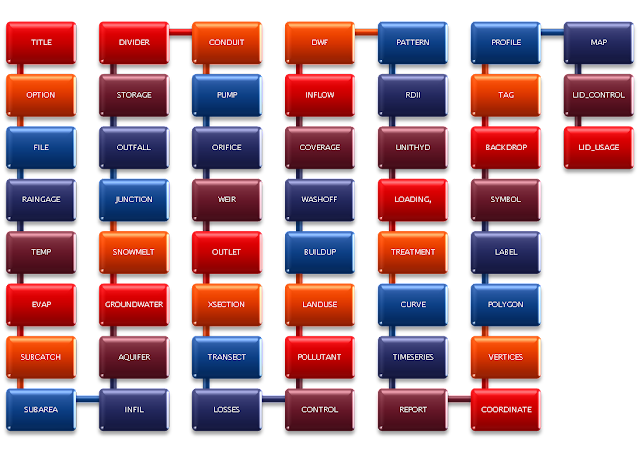 The capacity or d/D of the link varies from 0 to 1 with 1 being a full pipe or link.